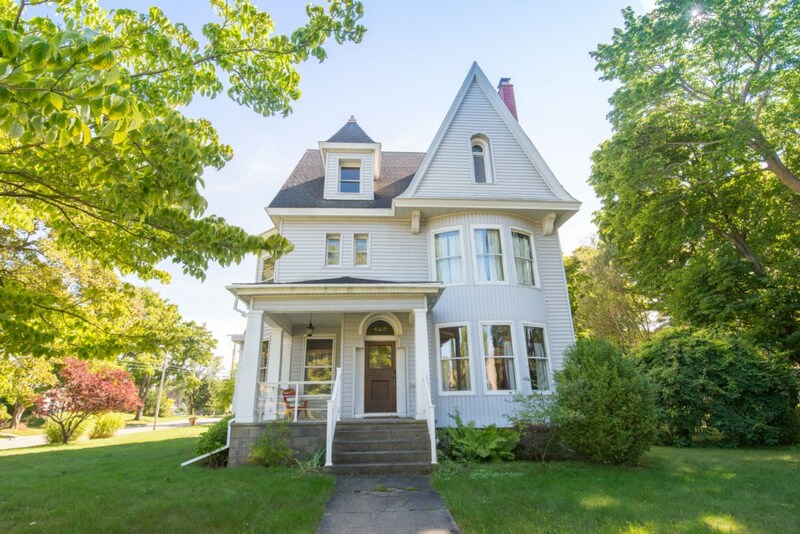 Manistee is appropriately known as the Victorian Port City and this elegant Victorian home in the heart of Manistee is part of that rich history. The home was originally built for Robert R. and Harriet (Hattie) Blacker in 1892. Robert Blacker was a successful business man in shingle production, lumber, railroads, banking, drugs, steamships and water works in the late 1800's. He also served in several political offices to include state legislature, Mayor of Manistee, and Secretary of State. The home has had a number of updates, with the recent additions of all stainless steel appliances, new lighting and new kitchen island. Many of the original hardwood floors have been refinished and the entire 4700 sqft home has been refreshed. You'll truly appreciate all the work that has been done to modernize the home while still keeping that Victorian charm. Much of the furniture has been purchased new in 2016 and 2017. This is a PET FRIENDLY home! Any and all pets welcome for an additional $75 one-time pet fee. The yard is fenced and bowls/additional pet blankets are included. Come and stay in one of Manistee's most historic homes. Only 1 mile from the sandy Lake Michigan beach!